We had a listener request to talk about the Book of Revelation. We figure this would be a good intro before we dive into the Lamb’s War next time. The Book of Revelation is the only book on which George Fox wrote an entire treatise (PDF, go to page 127 as labeled at the top, to find it). Micah takes the lead on this episode. The Book of Revelation is really confusing. There are a ton of things that are like the ancient version of Internet memes. It’s full of references to the Roman Empire in which the early Church lived. Evangelical Christians seem to have a view of the end times that is based on the Left Behind series. And yeah, you’ll find that sometimes with Evangelical Friends. But that idea is that Jesus is going to appear in the sky, and the world will be destroyed. The people who’ve been faithful will fly up into the sky with him, and then they’ll be in Heaven. Everyone else will burn. The early Quakers believed they were living in the end times. So did the early Church, for that matter. Early Quakers’ response to this and to discovering the Light, Christ within, was to say that the second coming of Christ had occurred—internally. That’s called a “realized eschatology.” Both groups eventually had to come to terms with the fact that the world was continuing. That second generation of Quakers never really came up with a unified replacement. Instead, it kind of shifted to “realizing eschatology.” It does kind of fit in with what the early Friends said, that “the Day of the Lord is come and coming.” Now, and not yet. Mackenzie: Welcome to Quaker Faith and Podcast where we will explore traditional Quaker beliefs and variety of Quaker beliefs found today. Mackenzie: Welcome back to Quaker Faith and Podcasts with Mackenzie and Micah. 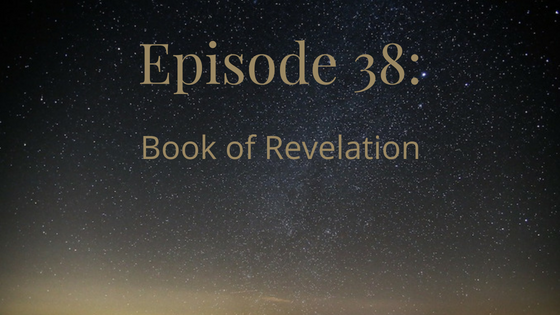 We had a listener request to talk about the book of Revelation and the next chapter in the book was about the Lamb’s War so we figured it would be a good idea to put the book of revelation stuff before the Lamb’s War stuff as an intro to that. I’m not sure exactly what the person who was asking wanted to know about Quakers and the book of Revelation but we’re figuring since there’s a whole lot of stuff that other denominations talk about with the end times and the coming apocalypse and all that, that maybe we could contrast with that. Micah: It’s funny that you bring up the end times and the coming apocalypse because I think that’s the way a lot of people both Christians and non-Christians think about the book of Revelation. When they think of the book of Revelation, they think these are some crazy stories about stuff that’s about to happen at some point in the future. This is stoked by a lot of Evangelical teaching in particular for a very long time that views the book of Revelation as a set of prophecies about things that are going to happen in the future and sort of looking at Revelation as well this is some sort of code and if we can decipher the code we can figure out the chain of events that are going to happen in history at some point that’s going to lead to the end of the world. This perspective on Revelation as being a secret code that Christians can decode and have sort of a historical timeline of the future of what’s going to happen. Micah: Its been present in Evangelicals for a very long time but it was really popularized by the left behind series which is just almost a cartoon of these tendencies in Evangelicals and to turn the book of revelation into a recipe for the future in which Christians get to got to war with the forces of evil, but only after all of the existing Christians get raptured into heaven and don’t have to deal with any difficulties. Mackenzie: Which it just occurred to me while you were talking that there’s a bit in I don’t remember which Gospel where Jesus Is saying no one knows the day or the hour but keep watch and look for the signs and so I wonder if the reason that there trying to crack the code of John’s revelation is because they’re trying to figure out what those signs are. Micah: Right. No absolutely and I mean to some extent you can see where many Evangelical Christians come to the conclusions that they come to or at least some of them based on a fairly straightforward reading of scripture. Unfortunately and frankly there are some sort of literalist interpretations of Revelation that while I don’t personally ascribe of them I find them compelling. I’m particularly thinking of a little fringe group called the Jesus Christians that doesn’t really exist anymore but existed during the 2000’s. They had a very literalistic fundamentalist style reading of Revelation but I kid of liked it because it emphasized the things that I liked. Fundamentalism can be fun some times if you agree with the fundamentals that are being exposed. I think that what Mackenzie and I want to alk about today is how we can read revelation responsibly, and how we can read it in the way the writers of Revelation intended us to read it the way they intended the early church to read it that was around when it was being written. At the end of the day despite a lot of confusion around the book of Revelation, it was not written as something to be like a secret code to decipher 2000 years later. Mackenzie: With Illuminati and stuff. Micah: Exactly, it was not intended to be something that was completely mysterious and confusing. Frankly the book of Revelation is much more kin to internet means than it is to some secret code, because all the imagery in the book of Revelation, you get some fantastic imagery in there. You get beasts rising out of the land, you get a dragon that is chasing after a mother with her child into the Earth pouring out water to stop the dragon and save the mother and child and protect them. You see angels in Heaven, all sorts of crazy scenes but these weren’t mysterious symbols that no one understood and had to decipher somehow, these were pop culture references. Mackenzie: Also, this is where the only reference to pearly gates in the entire Bible comes from and those are in the new Jerusalem not in Heaven. Just so were all clear. Mackenzie: I’ll stick it in the show notes. Micah: Yeah stick it in the show notes. There’s another one that I haven’t read but I’m confident that is probably pretty good which is “Reading Revelation responsibly” by authors last name is Gorman. So there’s some good books out there on Revelation that are written from the perspective of what were talking about today. Understanding Revelation in its historical context and allowing that context to make it even more powerful than it is when you read it out of context. Mackenzie: It occurred to me that something else we should mention is, because I said the word apocalypse earlier that the word apocalypse like that is the Greek word that means Revelation. Micah: And Revelation means unveiling. Micah: I guess we hear the word revelation so often in connection with the book of Revelation that we forget the revelation actually means something. Mackenzie: Oh see I can go and [inaudible 00:06:38]. Micah: Okay I guess for me sometimes the title of things become proper nouns and I forget what they mean sometimes and revelation literally means to pull aside a curtain that was obscuring something right, it’s to reveal. So you’re opening a Christmas present, I don’t know we’re going to find out and the ideal apocalypse, apocalypse is a genre. The book of Revelation is one of several apocalyptic documents in the Bible. But apocalypse got documents. Apocalyptic genre was a common genre in the Eastern world. This was something like there’s a form to it and people recognize this form. The apocalypse is about basically saying, oh so you think things are a certain way. The people who are powerful say heres how the world is but in fact God has a different plan going on and behind the scenes where you didn’t think to look something very different is happening. Micah: So the Kingdoms of this world, the Presidents, and the Kings, and the [inaudible 00:07:45] they have their plans and they have their systems and they want you to believe in them and follow them, but in fact there is something much more powerful and dynamic and beautiful happening behind the scenes. Its going to overthrow these false powers that have caught your attention. So back to understanding Revelation and its historical context. The book of Revelation was written in the early years of the church in the first century, and it was written in the context of the Roman Empire. The Roman Empire was the preeminent superpower in the ancient world and the controlled pretty much everything. Either they controlled it or people that they controlled controlled it. The book of Revelation is written in a time when the church was basically a little cult that was spreading out in the Roman Empire and which held views like the Jews, the Jews were in a similar situation in terms of their religious beliefs. Like the Jews, the early church which many of them were Jews held to one God and denied the other Gods that the rest of the ancient world held as an important part of their civic life. Micah: New nation world there wasn’t a clear separation between religion and politics. To honor the state was to worship the emperor. To honor your city was to pay homage to the Gods of the city. So for Christians and for Jews this is something that made the Jews always so problematic for the Romans and eventually resulted in the construction of the temple and the Jewish state in general was that they refused to conform to what the rest of the ancient world views are very open, and progressive, and cosmopolitan form of religion which said oh yeas sure keep your own God. You can keep them, keep worshiping your own God you just need to worship our Gods to and overall the Emperor, you must worship the Emperor and his Gods. Because the Jews and Christians refused to do that they faced persecution and they faced difficulty. There are many lines in the book of Revelation that today so many Christians look at as being oh they’re mysterious and how is this going to take place in the future, but they were simply descriptions of what was happening in the life of the early church. Micah: One example is it talks about how everyone has to take the mark of the beasts if they are to buy and sell and for many Christians today its like well what is the mark of the beast what will that mean, how will we know if someone has taken the mark. But it was pretty clear some of the ways you could take the mark of the beast in the ancient world and primarily among them was worshiping the Emperor or false pagan Gods. This was actually required if you wanted to buy and sell in the ancient Roman markets. You would be required [inaudible 00:10:42] on entering. Imagine you go into the supermarket and as your coming in they ask you just to take a little pinch of incense and give it to the Emperor and that was a form of sacrifice. You take a little pinch of incense and you burn on an alter as a recognition of the Emperor. Another form of worship, this was required to buy and sell, this was required to participate in the economy. Mackenzie: Okay, that’s interesting. So as we were talking before recording we talked about the idea of Jesus is Lord and Caesar is not. It shows up in the Bible that Jesus is lord but that the what’s not written there is the flip side of that for Christians was that Caesar is not. Micah: Its a funny thing because I think a lot of times skeptics of Christianity and of religion in general will point to where the Bible is not original. Oh yes these stories are old you’re God is so similar to the old Gods that came before, its just sort of a remix on the story. The thing is that’s true and the book of Revelation is not particularly unique its similar to a lot of things that have come before. That’s precisely why its powerful because it speaks into real situations and speak counter to false claims that are being made by similar Gods you might say. We say that Jesus is Lord and Savior, not because that’s something that Christianity invented, Caesar invented Savior and Lord and because Caesar claimed to be the Lord and Savior of the world, the early church knew that their claim needed to be that Jesus was the Lord and savior of the world. Not Caesar and that was a radical and punishable claim. Mackenzie: That makes me wonder, this is a part of the book of Revelation thing, but its a little detail thing. It makes me wonder about the church[inaudible 00:12:48] neither hot nor cold were they being well maybe your both Lord and Savior. Micah: Yeah so what Mackenzie is referring to, so the book of Revelation again we won’t try to give a synopsis of the book of Revelation. Mackenzie: There’s so much in there. Micah: There’s so much in there and I really recommend that you read it for yourself preferably along side a good commentary. At the beginning of the book of Revelation, the book of Revelation pretty much starts out with a series of letters to seven different churches in what’s now Turkey. Jesus is the one writing the letters through the spirit. Jesus has things to say to each of these churches, sort of like a performance review for each of the churches. Mackenzie: Everybody hates performance reviews. Micah: So Jesus is like I want you to rate yourself one to five how you think you’re doing. No. But Jesus has some things to say to each of these churches and the church Laodicea got a pretty bad performance review. Jesus says I wish you were either hot or cold and because you’re neither hot nor cold I’m about to spit you out of my mouth. I hope my boss never says that to me. There are lots of things in those letters where you’re like I wonder what was going on there, what made them neither hot nor cold. There’s another letter where Jesus says you hate the teachings of the Nicolaitans, which I also hate, I’m like who were the Nicolaitans, what was that all about. One of the key things in the book of Revelation at the beginning and throughout the beginning sort of paves the way for the rest of it with Jesus’s message to the seven churches. The Holy Spirit is both encouraging the early church and giving a warning to the early church that the road ahead is going to be hard and only these who can exercise patient endurance in the face of suffering are going to make it. Micah: I mean Revelation is always relevant. If it’s read in the right spirit and the right understanding. I think that the book of Revelation is very very relevant to us today. I think almost everyone recognizes that we have entered into a time of great danger and a time where unique forms of suffering are emerging and where we face those forms of suffering. One of the messages of Revelation is will you stay true to God. Will you stay true to Jesus. Will you stay true to love and trust in the power of God to be loved to others. Or will you go along with the powers. Will you go along with Empire. Will you go along with the world view they present and the violence that they exercise. Mackenzie: And then pivoting from that because Micah has just presented us with some inquiries so if you want to pause and think about those. A thing people are often wondering about I think when they ask about what someone thinks about the book of Revelation is about the idea of the second coming of Christ. That’s certainly a thing especially when you hear from Evangelicals they talk a lot about again in that left behind sort of terms. Micah: Right. Jesus is going to appear in the sky, he’s going to float down from Heaven and again this is me sort of expressing what I think is sort of a major Evangelical view would be that you would find in things like the left behind series. Jesus is going to descend from the sky, were going to see him in the sky and everybody who already believes is going to be lifted up into the sky and go with him into the sky to be in Heaven. Mackenzie: Yeah there’s a scene in Vicar of Dibley I think, which is a British TV show where’s she’s telling one of her friends about the second coming, and you don’t know when it’s going to happen and I have friends, well what if I’m on the Loo, he’ll still show up, well that’s a bit rude isn’t it. About the second coming early friends actually talked about this, or wrote about it, I guess we don’t really know what they were saying out loud. A phrase that you’d find a lot in early friends writings is that the day of the Lord is come and coming. Day of the Lord being Judgment Day. And the idea that its and coming so there seeing both a current unfolding of whats in Revelation and a continuing on into the future unfolding. They would speak of the second coming of Christ as being internally or inward second coming. So coming back in your heart so they’re not actually looking forward to seeing a physical Jesus flying in the sky. As far as they are concerned they have experienced the second coming already by experiencing the presence of Christ within them. Micah: One famous quote and I actually don’t know who its from, its from an early friend. It might be from Fox, it probably is from Fox. But I remember because its in a song that was put together by I think Paulette Mayer she sang it in [inaudible 00:18:36]. I’m going to sing it now because I think its relevant and I can remember it better if I’m singing it. And when they say look here or look there is cries, go not forth for Christ is within you. And those who try to draw your mind away from the teaching inside you are opposed to a Christ. For the light is within and the light of God is within. And the spirit within you though hidden. Mackenzie: Yes it’s from Fox. Micah: Yeah, so the [inaudible 00:19:18] Jesus’s second coming was not something to be seen outwardly but its almost like you realize that Jesus is already in the room with you and you just hadn’t noticed them. Jesus is showing up in ways that you didn’t expect, and this was relevant because so much of the religious and political thinking around the second coming was focused about an event in the future that was going to happen and then things would happen. What really energized and mobilized the Quakers was this experience of yes something big is going to happen but look its already happening to. I think there is a tendency and one that I have embraced at certain points to say oh its not even about something big happening in the future its all happening now and I no longer really ascribe that too much I think its important to hold the tension between what I think a lot of different people in the church not just Quakers call the now and the not yet in the sense of life Jesus is coming back right now, he’s available now. There’s this mysterious day of the Lord in the future that we look to where there will be consummation, and God’s work will be complete. I don’t know what to make of that I believe in it, I don’t know what to make of it. Micah: Throughout the Bible both old and new Testaments there’s a sense of God’s at work palpably, practically, powerfully right now and things are changing, and the Kingdom of God has come near. Yet there’s a final consummation that we haven’t gotten to yet and we don’t know when that’s going to come, but we wait for it with patience and endurance. That’s what the book of Revelation calls to us to do to wait for that day with patience and endurance and to be active participants in the work of Christ in the world. That’s something that were going to be talking about in our next episode on the Lamb’s War is what it looks like in particular for us to be people who actively cooperate and participate in the work of Christ in the world as the Kingdom is unfolding and coming to fruition. Mackenzie: I think that I would say that this like so many things is something where Quakers have shifted views over time. Because when Quakerism started as we’ve talked a lot about before, everything was just going so ridiculous in England like there was so much social and political upheaval that it felt like the end of the world to them. When they’re saying oh yup here we go were in the end times, we’ve got Jesus coming back for the second time, turns out that’s internal and trying to say that they were in the end times then. Then the world didn’t end, it kept going and then we[inaudible 00:22:22] well its been ten years, 15 years, 20 years, 100 okay well we missed that one a little bit. SO things had to adjust. Micah: Its really a lot like the experience of the early church. The church had the same experience when you read scripture they really thought that God was going to rap history up in the next couple decades, they really thought so. By the time you get to the oldest writings that are preserved in the cannon, it’s clear that people are like well we don’t really know when the final consummation is going to happen so here’s some tips on how to live a Christian life in the mean time. Mackenzie: Since it turns out were all not dead yet. Micah: The real scandal and the real thing that made the early church start questioning the immediacy of the final consummation of the Kingdom was the fact that people were dying. That they expected to see it in their lifetimes, but the elders were dying. The eyewitnesses, the Jesus were dying and how do we make sense of this. Mackenzie: Before this generation passes away. Mackenzie: I just meant that there wasn’t a mass die off of everybody. But anyway yeah tune in next time for the Lamb’s War. 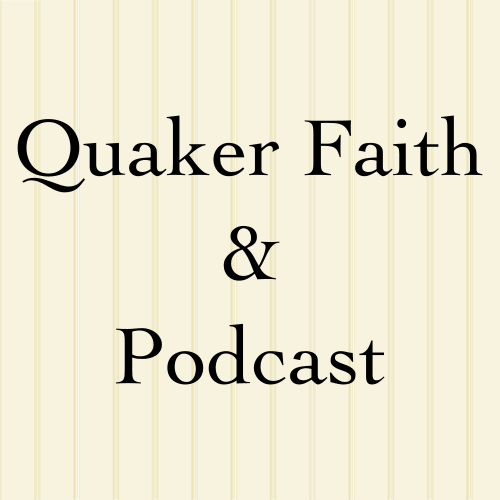 You can find us on the web at Quakerpodcast.org as Quaker Podcast on Twitter, Facebook, or Patreon and on iTunes.